Positive: Slim size; suitable for education; nice design; protective glass; comfortable keyboard. 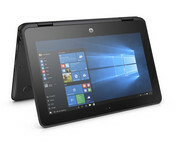 Model: HP has just introduced its latest Windows 10 laptop for students, the ridiculously tough HP ProBook x360 11 G1 Education Edition. The education version doesn’t have much in common with its flashier consumer-centric cousin. Both devices are convertible laptops with touchscreens, but that’s about it. Students can flip, fold, and learn with a 360° hinge and optional dual cameras that adapt to every activity. They can also create content in notebook mode, collaborate in stand mode, share and present in tent mode, and read, write, and draw in tablet mode. The device is 19.9 mm thick, with the weight starting at 1.35 kg. The company claims that it is the world’s thinnest rugged convertible. While it’s an education device, the new ProBook x360 sports some nice features that users would like to see on a consumer-grade laptop. The laptop features a rugged design built to meet the MIL-STD-810G standard, with a chassis encased in “industrial rubber” that can withstand a 2.5-foot (76.2 cm) drop, while the display rocks Gorilla Glass 4 to help stand up against scratches and careless drops. For kindergartners and other curious computer users, the keyboard proves resistant to picking to prevent inadvertent damage. It's also spill-resistant and capable of withstanding about a soda can’s worth of liquid. 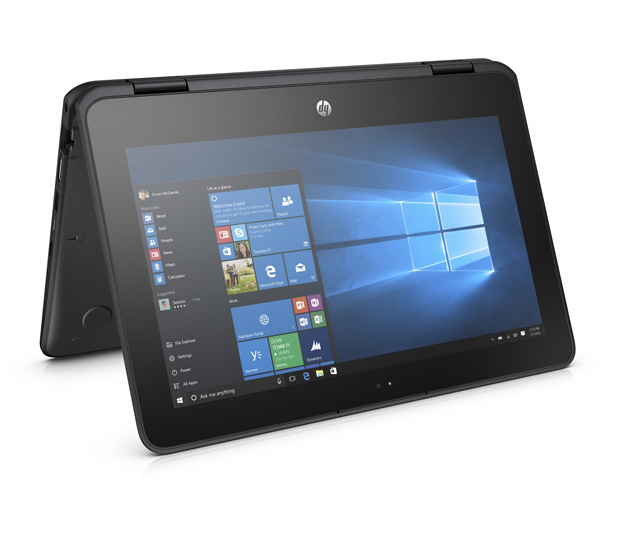 Besides that, the education laptop meets and exceeds the global requirements of learners with the HP School Pack 2.5 suite of digital tools and content designed for collaborative, standards-aligned, and personalized learning. There’s an optional stylus as well. HP provides tools for teachers such as Classroom Manager which includes assessment capabilities and can ensure students are staying on track and on task. Under the hood, the machine specifications are decidedly student-grade. A top of the line ProBook x360 comes with a quad-core 1.1 GHz Intel Celeron N4200 processor (Intel HD 505 graphics), 8 GB of RAM, a 256 GB m.2 SSD for storage, and Windows 10 Pro 64-bit. As for the display, it’s 11.6 inches with 1,366 x 768 pixels. According to HP, the battery life is up to 11 hours. It is provided by a 41 Wh 3-cell battery, but obviously, mileage will vary depending on exactly what user is using the notebook for. The device is fairly light at 3.19 pounds (1.45 kg) and sports a trim profile despite all its ruggedness at a mere 0.78 inch (1.98 cm). Standard specs for the ProBook regardless of model include 802.11a/b/g/n/ac Wi-Fi, Bluetooth 4.2, a 720p webcam, and a 1080p rear-facing camera. There’s also a microSD slot, HDMI out, two USB 3.1 ports (Gen. 1), and a USB Type-C port for data transfer. 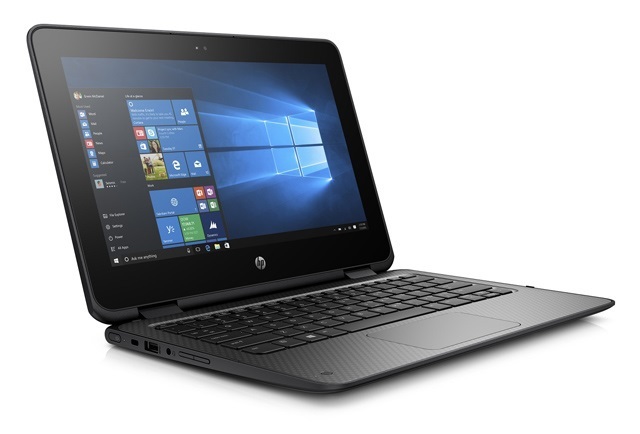 The HP ProBook x360 11 G1 Education Edition is certainly the only choice for on-the-go students if there are any.